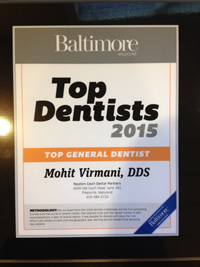 Welcome to our Pikesville, MD Dental Practice! Welcome to our dental practice. 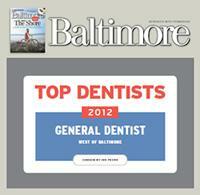 We proudly offer high-quality general dentistry to the Pikesville community and surrounding areas. Our energetic team prides itself on an absolute commitment to excellence in dental health care. We believe that each patient is an individual, and therefore presents with unique dental needs. Our family oriented team works diligently with each patient to help them achieve the optimal level of oral health. At Naylors Court Dental Partners, we emphasize preventative dentistry while also offering a full array of cosmetic, reconstructive and implant procedures. Our highly trained staff combines a broad range of experiences and unites as a team to deliver individualized quality dental care. With an increasing demand for "tooth-colored" dentistry, dental procedures are becoming far more technique-sensitive. Thus, we believe in utilizing the latest techniques and most current technologies in your dental care. Our dental providers devote many hours annually to continuing education so that we can offer our patients the highest level of skill and knowledge in our field. We encourage you to take some time to review our site. 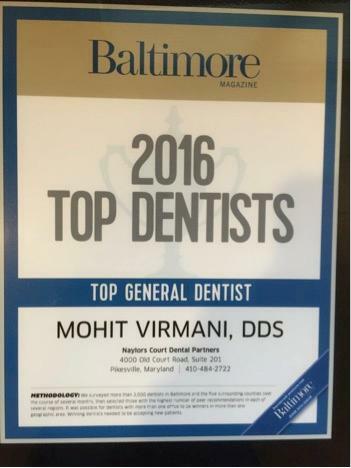 Please call our Pikesville dental office if you have any questions or would like to schedule an appointment. We would love to have you join our family of patients.